The only way to make your business successful online is by creating an official website. Yes, it is only with the help of website your business can be flaunted to the targeted audience. However, just by creating a website it is certainly not enough and your job is not done. 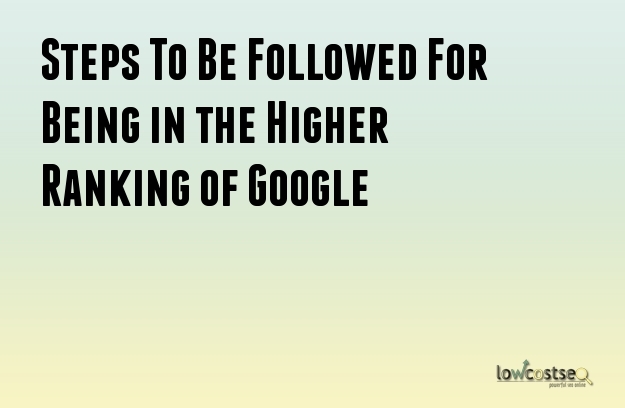 There are a quite a number of factors that you will have to take into consideration when looking to higher the ranking of your website in the Google search engine. Do you know the tool that you need to make use of for doing this? Yes, it is certainly the SEO or search engine optimization strategy. Records and research clearly show that the first three websites in the Google search engine take away about half the percentage of customers. This makes it clear that the leftover is basically taken up the websites that are available in the Google search engine. Thus, it should always be your strategy that you hire the best Search engine optimization company for increasing the ranking of your website. There are many SEO companies that you will come across in the market, but it is very much important that you make a wise choice. For this make sure that you do a thorough research work. For an SEO company to perform their task efficiently it is important that you inquire the best practices that they do when optimizing a website of a client in the Google search engine. So, what are the practices that you need to look out for? Well, here is a glimpse of them. The Meta Description of your web page plays an important role in helping out in increasing the ranking of your web page. Though it does not have a direct involvement in increasing the ranking of the web page in the Google search engine, but it does have some indirect influence. Thus, always make sure that the Meta Description that you write is of standard quality and also it must be very much attractive in the eyes of the people. The content is certainly an important factor to consider when you are looking to increase the ranking of your web page. The web spider basically decides on the ranking of the web page by simply following the standard or the quality of the content of your website. However, it is also very much important that you make sure that the title tag is also attractive. For the web spider to track your web page it is important that you make use of the right keywords in the title tag. The URL of your web page is a crucial factor where you must input the targeted keywords with the help of which the web spider will hunt your web page. You will also have to consider the fact that you must not have a very long URL as this will hurt the ranking position of your web page. The maximum amount of characters that must be used for a URL should be within the range of 2080 to 2083.